What will Jobalign do for you? 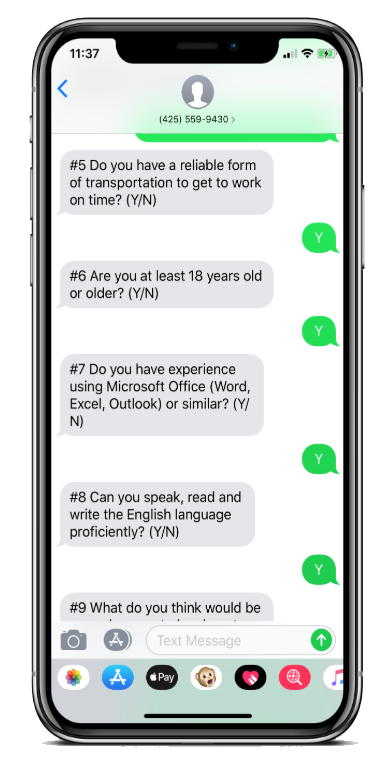 Increase the speed of recruiting through text message – schedule more interviews and reach candidates faster! See what hourly hiring leaders think of Jobalign. "As Corporate HR Manager and Recruiter, Jobalign has been extremely helpful in securing candidates specific to the needs of our business. We have hundreds of job openings each week, and Jobalign has been very user-friendly, and a cost savings for our company." 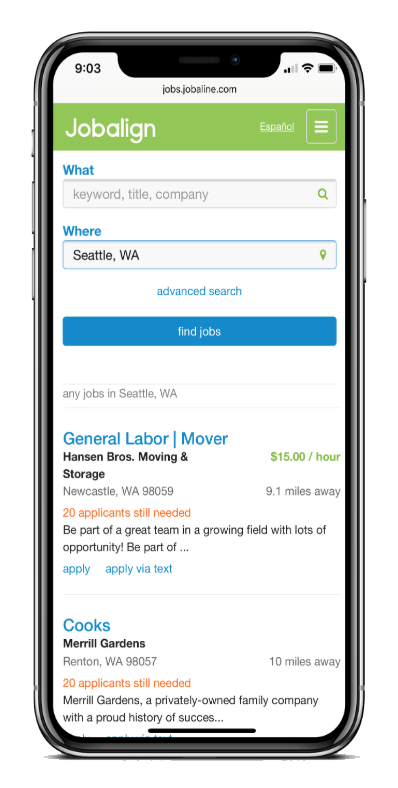 Schedule a demo and start engaging more of your ideal hourly candidates today.